Nigerian President Muhammadu Buhari reportedly traveled to London on January 19 for a “short leave” and “routine medical check-ups.” His team promised that he would return by February 6. When that day came, however, the 74-year-old leader extended his leave, with his spokespeople vaguely saying that he was awaiting test results. At the time of writing, Buhari remains in the United Kingdom, leaving Nigerians with questions over the country’s fragile economic and security climate. The Nigerian population is growing increasingly nervous about the president’s condition. There was a palpable sense of relief when Buhari’s voice was heard via speakerphone at a recent prayer service. If the president is already, or becomes, seriously ill, it will have serious implications for Africa’s most populous country. His absence evokes uncomfortable parallels with the extended incapacitation of the late Nigerian President Umaru Yar’Adua, who died in May 2010 after more than six months of illness. Yar’Adua’s illness and death touched off a complex political crisis whose reverberations were felt for years afterwards. The longer Buhari spends away from home, the more these tensions will grow. At present, however, there are four key differences between Buhari’s and Yar’Adua’s situations. First, Buhari appears to be healthier than Yar’Adua was. From November 2009—when Yar’Adua left Nigeria for Saudi Arabia—until his death, it was never clear whether Yar’Adua was in a functional capacity. Yar’Adua’s wife and inner circle largely blocked access to the president. A three-minute phone interview Yar’Adua granted to the BBC’s Hausa service in January 2010 did little to allay the concerns about his condition. Even after he returned to Nigeria in February 2010, he was inaccessible even to many senior government personnel. In contrast to the secrecy surrounding the ailing Yar’Adua, Buhari’s team has sought to broadcast that their man remains in charge. 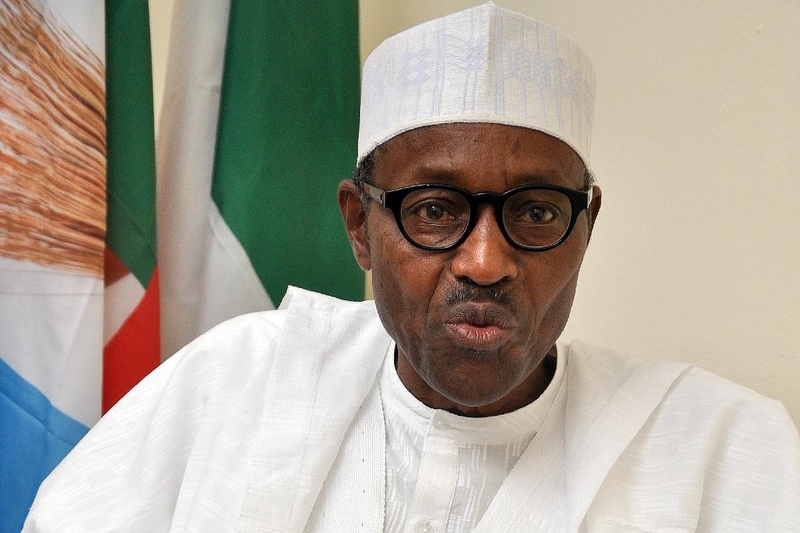 They have circulated photographs of the president in London meeting Nigerian politicians. Buhari is also continuing to conduct some government business, speaking by phone with US President Donald Trump on February 13. If Buhari is having trouble carrying out his duties, he and his team are concealing it well. Second, Buhari has arranged a clearer transfer of power than Yar’Adua did. In 2009, Yar’Adua did not initially designate his vice president, Goodluck Jonathan, as acting president—that designation took the intervention of the Nigerian Senate, and only in February 2010, after Yar’Adua had been gone two-and-a-half months. Jonathan’s elevation to acting president, moreover, alarmed Yar’Adua’s people, who quickly arranged for the president to be flown home two weeks later. Yar’Adua’s return left the question of presidential authority unanswered until his death. Buhari, undoubtedly keen to prevent any similar scenario, decided upon his departure to make his vice president, Yemi Osinbajo, Nigeria’s acting president. In fact, January marked the third time during his presidency that Buhari had temporarily transferred power to Osinbajo. Buhari communicated his wish to the National Assembly, effectively forestalling any short-term (or, now, medium-term) constitutional crisis. As if to reinforce their boss’s wishes, Buhari’s spokespeople on social media have eagerly publicized Osinbajo’s activities, depicting him as hard at work. Third, then, Buhari seems to have a better relationship with Osinbajo than Yar’Adua did with Jonathan. In 2007, when Yar’Adua won election as president with Jonathan as his running mate, there was a widespread feeling in Nigeria that the pair had come together through the machinations of another man—outgoing president Olusegun Obasanjo—rather than on their own initiative. Buhari seems to have exercised more agency in his pick of Osinbajo. It is true that the current vice president is widely seen as the close ally of a powerful southwestern Nigerian politician, Bola Tinubu, whose support was instrumental in Buhari’s own 2015 election, and so one should not assume that Buhari had an unrestricted choice of running mate. But Buhari actively welcomed Osinbajo to his ticket, and the two have projected an image of close cooperation since taking office. Buhari’s willingness to repeatedly make Osinbajo acting president is the ultimate sign of trust. A fourth, and related, difference between Buhari’s situation and Yar’Adua’s is the trajectory of Nigeria’s national politics. In 2007, Nigeria was firmly under the control of the People’s Democratic Party (PDP), and the key national political question was that of how the presidency would rotate between southern and northern Nigeria. An internal PDP arrangement followed “zoning,” meaning that after eight years of Obasanjo, a southerner, it was the north’s turn to have two four-year presidential terms. Yar’Adua’s death, and Jonathan’s succession (and then his re-election, in his own right, in 2011) upset that zoning arrangement, perhaps permanently. Buhari and his party, the All Progressives Congress (APC), have sent mixed signals about whether Buhari intends to run again in 2019. There are reports that APC politicians are already jockeying for power in Buhari’s absence and amid mounting speculation about the 2019 presidential ticket, but the rules of presidential zoning appear less set in stone now than they were while Yar’Adua was president. For the moment, Osinbajo appears to enjoy broad goodwill within the APC, including in the north. Buhari—and Nigeria—are in a much better situation than Yar’Adua was in 2009-2010. But the country’s current working arrangement would experience considerable strain if Buhari’s health deteriorated, or if he died. The issue of north-south zoning is one that the APC, and Nigerian voters generally, would be best off resolving in an orderly and planned manner during the 2019 primaries and general election. Should Buhari fail to return from London, even a well-managed transition would distract politicians’ attention away from urgent challenges such as implementing the Economic Growth and Recovery Plan, defeating the Boko Haram sect in the northeast, and making peace in the oil-producing Niger Delta. The longer Buhari remains out of the country, however, the more likely it is that he is suffering from something serious, and that these obstacles will need to be addressed.